I certainly think Gore have upped they game of late, some of of the newer stuff in the shops looks great…however im still a massive fan of event. So when is someone going to be brave (and deep-pocketed enough…) to take an Active Shell jacket and a comparable weight Polartec NeoShell jacket, slice them both down the middle and stitch the opposing sides together so we can have a nice side-by-side breathability comparison? So do you know if eVent is definitely on it’s way out PTC*? Is there going to be a mad scramble for the last Drilliums and Halos? Interesting times ahead on this battlefront that’s for sure. eVent on it’s way out? And i haven’t even had the chance to try it yet! I also just read about the new NeoShell, seems awesome though. Maybe it would be smartest to just save my money for that then. I share the fear re eVent. best waterproof fabric that i have ever used – the mainstay of Rab and Montane. if they have managed to mess up – how did they do it? 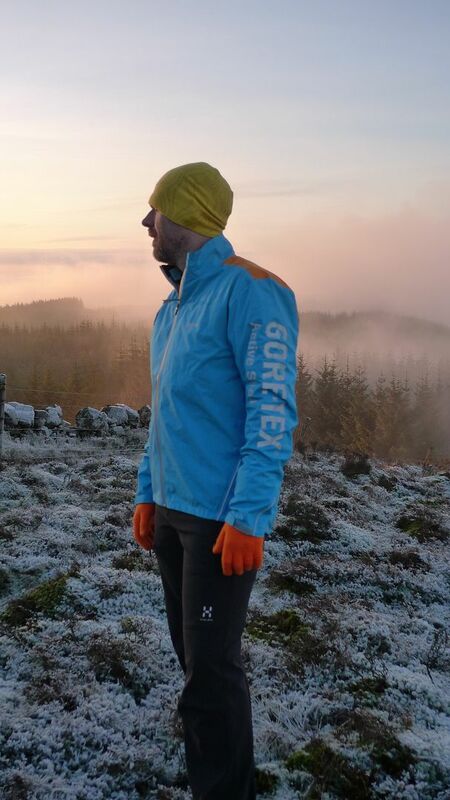 i find goretex a bit omnipresent in all sorts of stuff and past performance lacking in my personal experience. i know competition is good but if eVent, very sadly does bite the dust i will hoping neoshell comes good and that Rab and Montane don’t get tempted towards Goretex. strange times. Story was that eVent’s owners GE decided not to keep pumping money into development, leaving eVent doing its own thing with its own budget. But it now has it’s own dedicated production facilities to improve quality/ keep costs down and you’ll maybe have noticed the stories on the forums of delaminating Rab waterproofs have drifted away? eVent is the best, but it hasn’t evolved. We all love to hate Gore-Tex, but they’re pushing the limits, and if eVent aren’t going to be able to make a step-up, the brands using it are going to get left behind. The green Haglofs Active Shell ajcket I tried (it’s on here somewhere) is awsome and you wouldn’t get an eVent jacket in the same design less than a hunderd grams heavier, and it looks like no more breathable either. Interesting timers in which you and I will be the big winners. Gore do seem to have the corporate muscle to be able convince the market and manufacturers that they are the only way in any case. I’ll keep my fingers crossed for eVent but i do hope that polaretc and pertex plus whatever manufacturers come up with themselves will mean that no one material dominates. it already feels like that at times with (paramo fans aside) gortex being a byword for waterproof among those who haven’t tried anything else, and if i’m being judgemental, haven’t been out in the rain much. i had a rab waterproof ages ago that my mate recently reminded me was a pertex-based material. it worked okay at first but eventually, and not that long after i’d had it really, ceased to be waterproof. if rab are trying out neoshell then i hope montane come up with a proper breathable, soft feel waterproof fabric of their own and stick two fingers up to everyone. i hope you’re right re us all being better off down the lien as gore’s efforts push things along and that goretex doesn’t become a byword for waterproof material options for the rest of us. i wonder what rab and montane think? they must have to plan ahead and won’t want to be (appear due to marketing etc) to be left behind. The brands work in detail about two years ahead and in just a little less detail further ahead than that. They know what’s coming and I’ve only got hints to work with, but there will be changes. I’ve got some Pertex Shield on test, on an Outdoor Research lightweight something-or-other, it’ll be good top see how it compares over time, a nice fabric to wear though. Add in Entrant, Kamleika and all own brand stuff and it’s endless. Aye, where will it all end up I wonder? Regarding fabric breathability i don’t think i will ever be convinced. If you read all the tech bumf its bollox a lot of the time as well as how they test it. In real world usage outside of a manufacturer based test scenario if it works for you then fine. But i’ve never been totally dry under a waterproof when sweating,and the only real breathable thing on me is my skin, lol. I like tech advancements but only if they work and a lot of the time they don’t. Does anyone fined pro or performance shell better than xcr, i don’t so why change stuff if its not a big improvement. Sorry to sound cynical but these are my own experiences of using BREATHABLE fabrics since the early 80’s. It’s all improvement by small degrees, but the hype and promotion always makes it seem bigger. ProShell is a little better than XCR, which I’m convinced was no different to the old Taslan, but definitely not as good as eVent. But then in torential freezing rain I was soaking wet in eVent when it wetted out and stopped working. The truth is breathble waterproof fabrics work best in cold dry conditions, what they have to do is make a beter DWR coating to stop the fabric wetting out to maintain breathability. As I often say, don’t worry about fabric or brand, neither will keep you completely comfy, just get what fits best and has the features you like. As others have said here I’m not sure that anyone will develop a truly breathable waterproof material in the near future, I sweat in any of them. I recently tried Paramo but if the mercury is above freezing then it’s just too damned hot. i think that both the waterproofness and the breathability can come into question with any fabric thus far under certain circumstances, and those by no means extreme. foe me, if it feels soft-ish and can be worn against the skin without sticking to you (my Rab Demand for example) then that’s a good start – assuming it keeps rain out as well! last year i tried a Montane jacket in entrant fabric. the cut and design were superb (same as the new Venture i think) but wearing a t-shirt to try it on first time i was aware how tacky compared to eVent the fabric felt. it wasn’t cheap enough to take a chance on its breathability; especially as i got my Demand for less than £80. 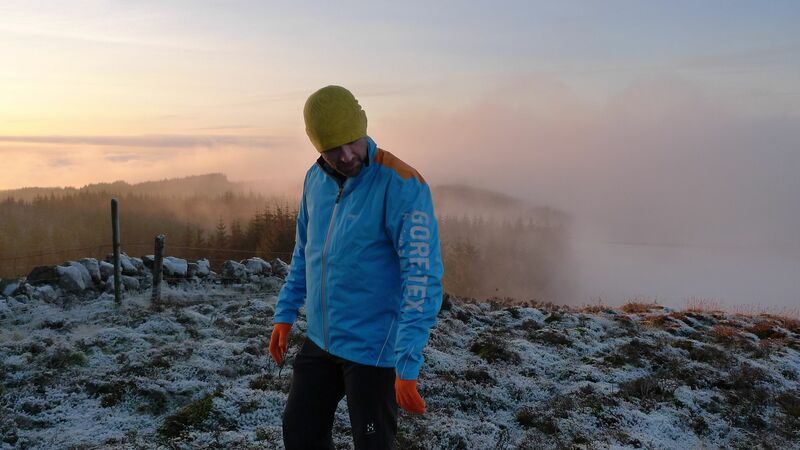 i used to go up the peaks in my £40 peter storm kwick-fit-fitter electric blue jacket and over trousers and didn’t know what i was missing because eVent hadn’t appeared yet and gortex was an unknown, and unaffordable in any case, expense. the day a make comes up with a honest to goodness own brand real world uk weather waterproof and breathable fabric that lasts without undue care and is reasonably priced will be the day i celebrate – with a walk in the rain. as every brit knows, walking or running in the rain is lovely; so long as you don’t get wet. What’s under your shell is vital right enough, one you dial it in even Paclite is fine. Bar. good point about some Entrant, it’s got a “half” inner layer so the tacky feel is the bare mebrane, it also means if doesn’t hold as much condensation. Lovely light fabric, but nothings perfect. A walk in the rain? A joy indeed. I must confess I have never liked Goretex for cycling jackets. It was/is not breathable enough, it is not always completely waterproof, and it is still quite heavy. There have been times when I thought a basic fabric with a lot of vents would actually serve me better. Sleeves that can be zipped off with waterproof zippers, to make it a windstopper vest. Zippers can be used to create armpit vents when the sleeves are still on. Separate hood with velcro vel sim fixing for use around the tent, but to be left off when riding. Weight should not be excessive, but is not quite as important for a cyclist as it is for a Mountain Marathon racer. 400 gram should be a realistic maximum, I think, but less would be nice. I appreciate that the extra zippers will make it relatively heavy, but without removable sleeves I will need to bring a separate vest against the wind. I have not yet found my ideal jacket. I would like to persuade the gear makers that this would be an ideal jacket. I wonder what others think of these specs. I’ve seen removable sleeves in the past, a good idea if it’s done well. Vents are fine too, the jacket above and the Berghaus one I’ve got on test are fine. I think Active is just as breathable as eVent, for me anyway. I used to wear a Paclite bike jacket which was brutal, a sweatbucket of horror. The difficulty I think is that bike clothing always seems to be behind outdoor clothing, I thing the best bike stuff is by outdoor brands but never gets bought in enough numbers for the brands to develop it. Talking of whic, The North Face bike kit coming up shortly!